Deja Lynn Alvarez is an award winning transgender advocate and activist with a long history of representing and serving trans communities in Philadelphia. She volunteers in leadership capacities for several local organizations, including: the Mayor Kenney’s Commission of LGBT Affairs and the Philadelphia Office of LGBT Affairs, William Way Community Center, Philly Women’s Rally, and the Liberty City Democrats. 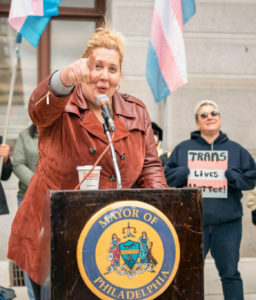 Ms. Alvarez also serves as a member of the Philadelphia Police Advisory committee, the Pennsylvania HIV planning committee, co-chair of the the annual Trans March in Philadelphia, and chair of the annual Philadelphia Trans Day of Remembrance. She is a group facilitator at The Philadelphia AIDS Consortiums’ Transformation Group and has facilitated groups at the Morris Home, the first trans-specific recovery home in the United States. Ms. Alvarez is the co-founder and former executive director of the LGBTQ Home for Hope where she was able to get the first LGBTQ specific shelter/recovery program in the city up and running. She is one of the founding members of the Trans Wellness Program at Mazzoni Center, a co-founder and former facilitator of Sisterly Love (a Trans support and skill-building program by and for transgender women), and a former coordinator for the Trans Information Project of GALAEI. In recognition of her leadership and dedication to Philly’s trans communities, Ms. Alvarez was awarded the 2015 Jaci Adams award, from Philly Pride and the 2016 Person of the Year from the Philadelphia Gay News, among numerous other awards for her life’s work and dedication to Trans and LGBT causes. Professionally, she currently works as a system navigator for the City of Philadelphia’s Department of Health. 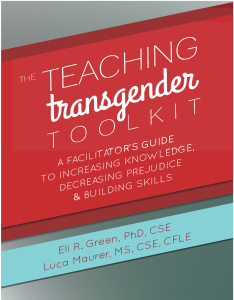 She joined the TTI Training Team in 2018, and brings with her a wealth of knowledge about the transgender communities and lived experiences of transgender people.